To enhance your Spa experience, please arrive at least 15 minutes before your scheduled treatment. Shaving is not recommended prior to service. If you choose to shave, please do so at least six to eight hours before your appointment. For hair removal services, body hair must be at least 1 cm long for effective removal. Avoid prolonged sun exposure for 24 hours before or after waxing. Avoid any physical activity that will cause excessive heat or perspiration following the service. Lockers are available for clothing; however, it is recommended that you leave valuable items in the safe in your guest room or at home. Cell phones are not allowed in the Spa area. 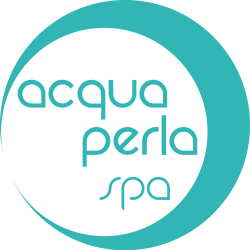 Please note that Acqua Perla Spa will not be held responsible for any loss of valuable items. Should you request for a specific therapist or gender, we will make every effort to accommodate your preference. All our therapist are professionally trained for the treatment and draping protocol. Guest visiting for spa treatments should be at least 12 years old. To respect the tranquility of all our guests, children under 12 are not permitted in the spa area. Guests 16-17 years of age may have treatment, with a parent or legal guardian present. May I use the Gym amenities and Hammam without getting a spa treatment? Gym and Hammam use are free for in-house guests and for outside guests who book a treatment at the Spa. The Gym and Hammam use are for guests 18 years of age or older. Guests 16-17 years of age have access with a parent or legal guardian, or an authorized consent form. Guests 15 years and under, including infants, are not permitted. from 18.00 pm to 20.00 pm. Most body treatments are enjoyed without clothing, however, please wear whatever is comfortable for you. Disposable under-wear is available in your locker. During all treatments, the body is fully draped, except for the area being worked on. Robes and slippers are provided in the men’s and women’s lounges before and after treatments. Your Spa experience is your time, and you should delight in it to the fullest. If you experience discomfort due to room temperature massage pressure, music volume or any other conditions, please tell your therapist immediately. When making reservations and filling the consultation form, please notify the officer if you have high blood pressure, allergiess, any physical ailments or disabilities using any skincare medications or have had recent laser, plastic, or other surgery, or if you are pregnant (there are a few services that should be avoided during pregnancy, specifically in the first trimester, but many that can be enjoyed). What is the booking hours? Acqua Perla Spa is open daily from 10.00 a.m. – 10.00 p.m (last treatment at 8.30 p.m). We recommend making your spa appointments 24 hours in advance, by contacting our spa directly. Arriving late will simply limit the time of your treatment, thus lessening its effectiveness and your pleasure. Your treatment end on time so the next guest will not be delayed. The full value of your treatment will be charged. If you must reschedule or cancel your appointment, please notify the spa at least four (4) hours in advance to avoid being charged the full service fee. Cancellations of packages or private parties require one week’s notice. Groups are subject to a two week cancellation policy. Please see the Group Coordinator for additional information. For your convenience, a 21 percent tax and service charge will be added to each spa service received. Additional gratuities are at your discretion. A credit card number is required at the time reservations are made. All major credit cards and travelers checks are accepted. You may also charge spa services to your hotel bill or member account. Pricing and treatments are subject to change at any time without any notice. All prices above indicate starting price. Check the spa website or special offers for updates.